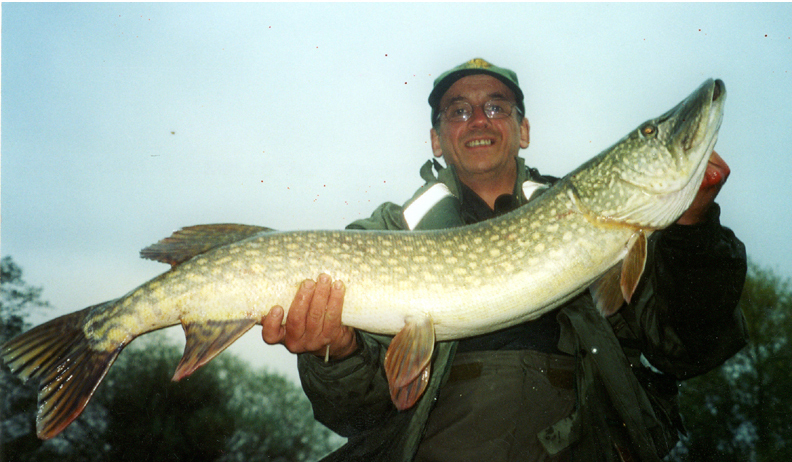 I was naturally pretty happy to catch this 23lb4oz 114cm pike in Septemeber 2004. 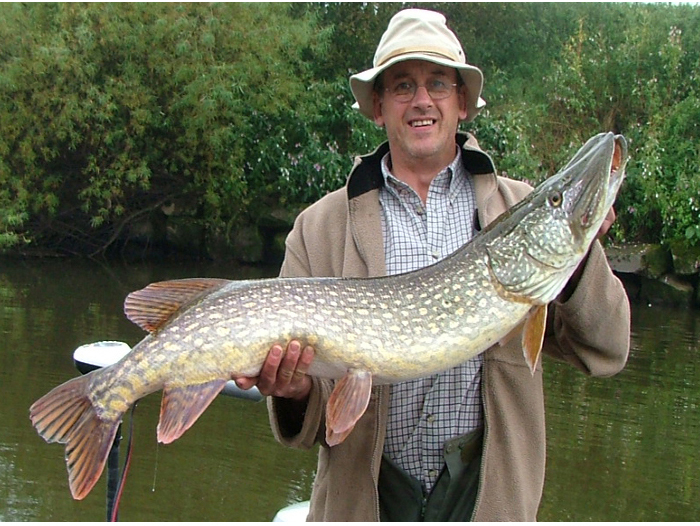 When I looked at the photos something looked familiar about her, I'd caught her in October 2003 at 20lb12oz 108cm. If she grows at 6cm a year for another couple of seasons she'll be a very big girl!